A Teesside charity that helps support disadvantaged kids through Brazilian Jiu Jitsu is in the running to win a £5000 prize, courtesy of Middlesbrough & Teesside Philanthropic Foundation. Submit 2 Success was set up by youth worker Ralph Presgrave. After taking redundancy in 2012, Ralph used some of the funds to buy mats and equipment and launch Submit 2 Success. 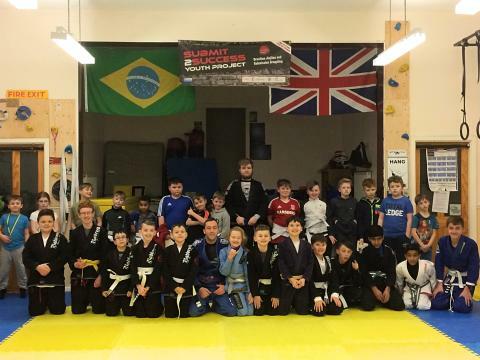 The organisation uses Brazilian Jiu Jitsu (BJJ) to provide an alternative youth club environment to children and young people in one of the North East’s most deprived wards. It helps them to stay fit, healthy, active, off the streets and away from negative influences. The project continued to gain momentum and has now worked with over 500 children and young people. There are three specific projects: Bullyproof, which focuses on self defence for 6-10 year olds; a kids’ competition team and a teenager’s project for 12-19 year olds. All the projects are free of charge and open to anyone. The group has also had plenty of competition success on the BJJ tournament scene. Member Alex Williams is a 2x Pan Am World Champion, multiple times British, European and regional champion. Milly Horkan, Ben Eastwood , James Wheeler and Luca Parker are all European champions in their divisions. 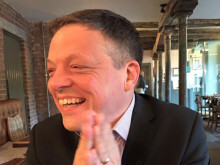 Teesside Philanthropic Foundation run an annual sporting Golden Giveaway - the prizes range from £500 all the way to £5000 for first place and is a funding pot of £20,000. Submit 2 Success was selected as a finalist if only 15 Teesside organisations.